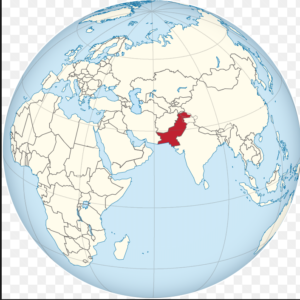 The country of Pakistan has one of the highest rates of abortions in the world; it is noted there are 50 abortions for every one thousand women. However, this procedure is “legal only in very limited circumstances” according to the Guttmacher Institute. Pakistan states an abortion can occur if there is a “need” for it such as if a woman’s health is in danger. But, otherwise, the term “need” is very vaguely defined—culturally, abortions are not accepted or promoted in Pakistan. As a deeply conservative and Muslim country, most hospitals and doctors refuse to perform abortions for religious and moral reasons and beliefs. As a result, a huge underground abortion industry thrives. This contributes to the statistic that ⅓ of all women who undergo abortions in Pakistan suffer complications largely because those who are performing the operations are likely not properly qualified. The high amount of abortions comes from the fact that there is a large unmet need for family planning services. Pakistani women have limited access to reliable contraception and only 30% of these fertile-age women use modern contraceptives. The federal government used to be in char ge of family planning, but in recent years the national policy failed and in result the system is completely disconnected. Pakistan has one of the world’s fastest population growth rates due to the lack of family planning services and this has directly led to the country’s setbacks in development plans. Women often feel pressure to receive abortions after learning the gender is female because in Pakistan, one family may face societal rejection if they have too many daughters and females are seen as an economic burden. Overall, both the lack of access to family planning services and unclear national policy on medical professionals giving abortions have directly led to Pakistan’s extremely high rate of underground abortions and consequences of women facing reproductive health complications.